Here at TS HQ we are totally obsessed by this mega piece of arm candy. One look induces total bracelet envy. 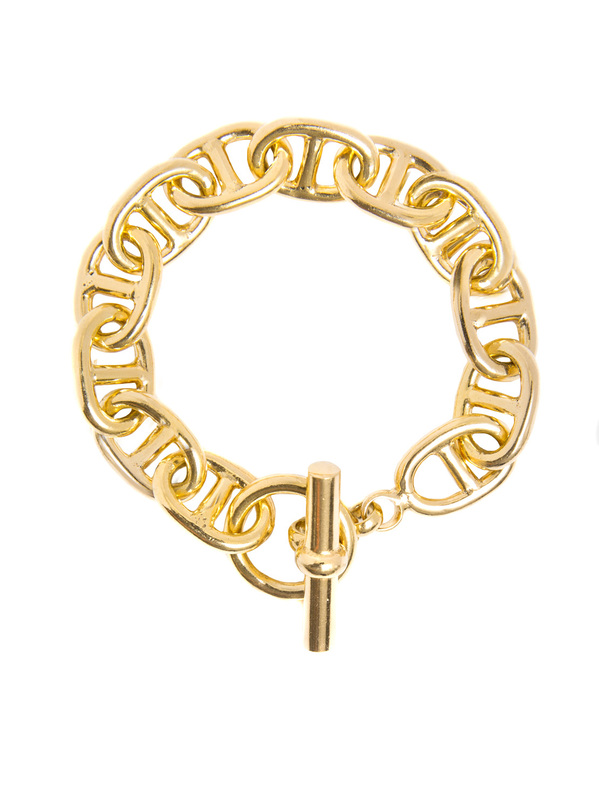 The 23.5 karat gold plated chunky chain is so “retro chic” but the heavy T bar clasp brings it right back to now! The bracelet weighs 50 grams and feels lovely and heavy, it measures 20cm in length and 1.3cm in width.